If you had to choose between all the many types of toys available, what are the money-saving essential developmental toys for your toddler? Every parent would love to buy all the toys and gifts that their children could want, but goodness knows how expensive they can be! Save money on toddler toys this year? 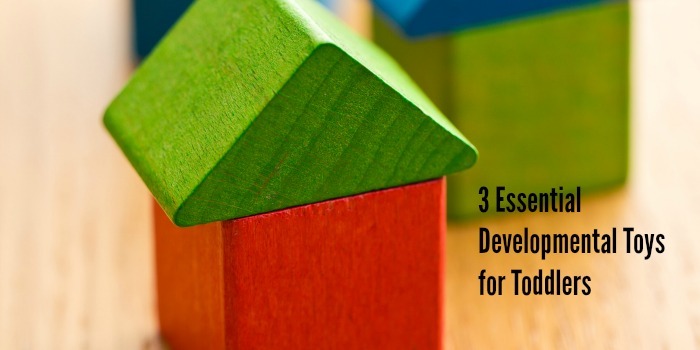 I’m sharing three essential developmental toys for toddlers that are always a home run with little ones. This post contains affiliate links. 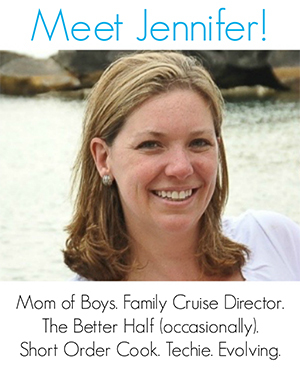 Let’s start by understanding just what is going on at this stage of your child’s personal development. Toddlers are defined as young children who are just beginning to walk. This usually means kids between the ages of 1 and 3. The toddlers years are a very important time for social, cognitive, physical and emotional development. So you want to focus on those developmental toys for toddlers which help advance your own child in these areas. Simple toy building blocks with different numbers, shapes, colors and sizes can provide an inexpensive but fun playtime activity. Building blocks are sturdy and last for years, make for a very minimal investment on your part and can be used in a number of ways. They promote fine motor skill development, shape, color and number recognition and memory, as well as independence and creativity. A beach toy combination of pail and shovel can be enjoyed at the sandbox, the beach or just about anywhere. This is another budget friendly choice that has multiple developmental benefits for your toddler, and social ones as well. Balls of any shape or size prove more challenging for your child to manipulate than stationary blocks. When your child follows the movement of the ball with their eyes, it may seem like a simple task. However, this visual tracking in toddlers teaches both eye-hand coordination and visual acuity. Your little one learns to coordinate her body movements with the actions and movements of the things she sees. Chasing after a ball also develops spatial awareness. Your child has to quickly calculate how far away the ball is, how fast it is moving and where her body is in relation to it. 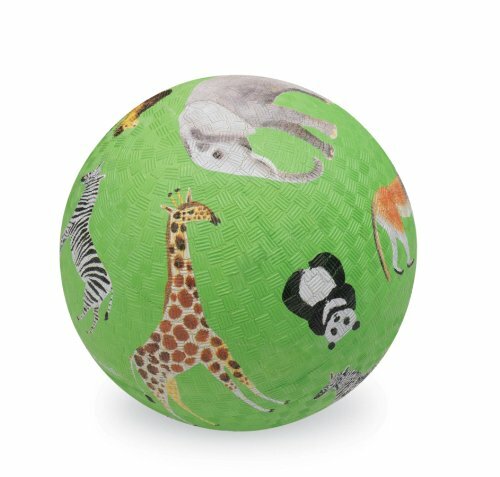 Add in some additional sensory development by purchasing textured balls that add in a whole new dimension to play. Stacking Cups Improve Seriation – What Is That and Why Is It Important? 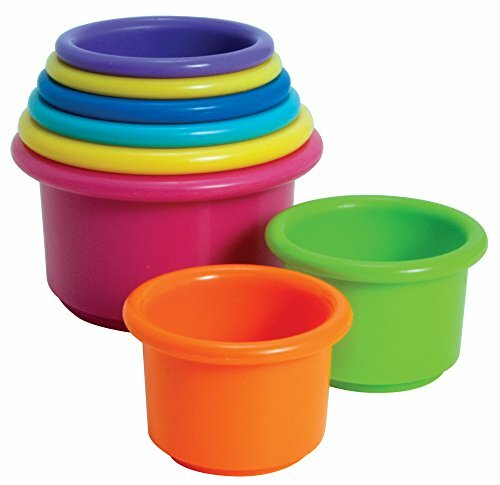 Stacking cup sets make inexpensive toy purchases. You can even simply use plastic cups from your cupboard if they are stackable. Your toddler’s math and science skills get an early head start at development when he begins stacking in different patterns and groups. This teaches size relationships, and even the effect of gravity on structures. Stacking, whether with blocks or cups, also improves your toddler’s understanding of seriation. That is just a big word for putting things in their proper order. And playing with inexpensive water toys of all kinds will have your child giggling and laughing, while fine motor skills, dexterity and coordination are all boosted. 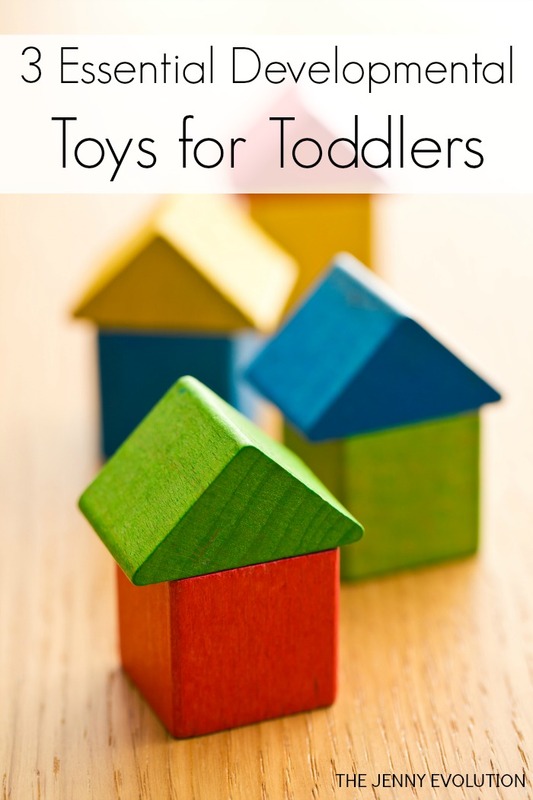 While there are lots of fabulous toys out there for toddlers, start with these three! 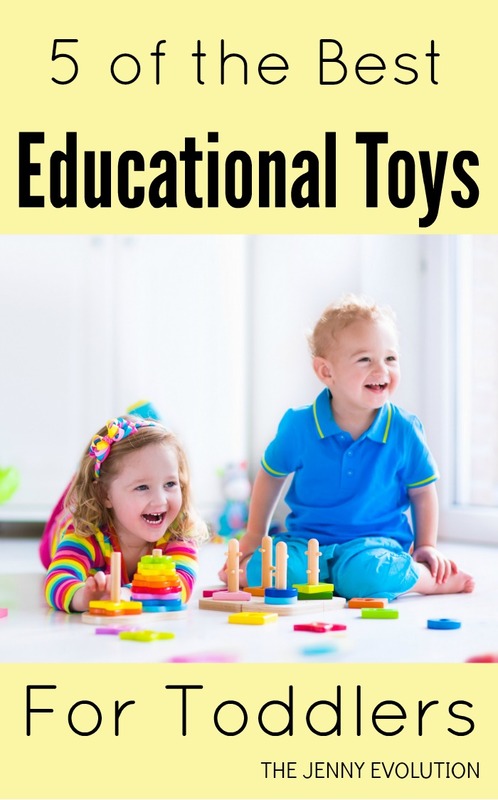 And be sure to check out the 5 Best Educational Toys you can have for your toddlers. 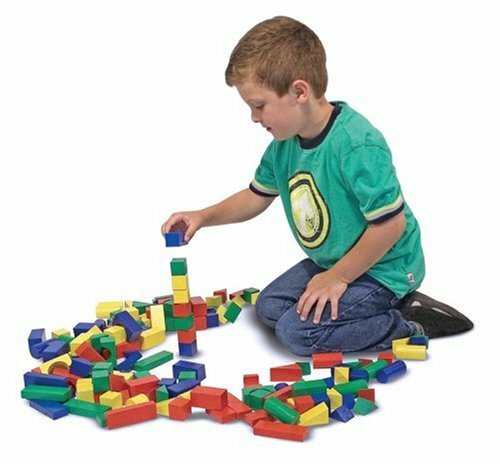 I loved playing with building blocks when I was little! I didn’t grow up to be an architect, but I totally agree that building with blocks like that helped me develop good motor skills and creativity. Plus, blocks are pretty cheap toys when you look at it, so they’re an all around positive thing for little kids. Thanks for sharing!